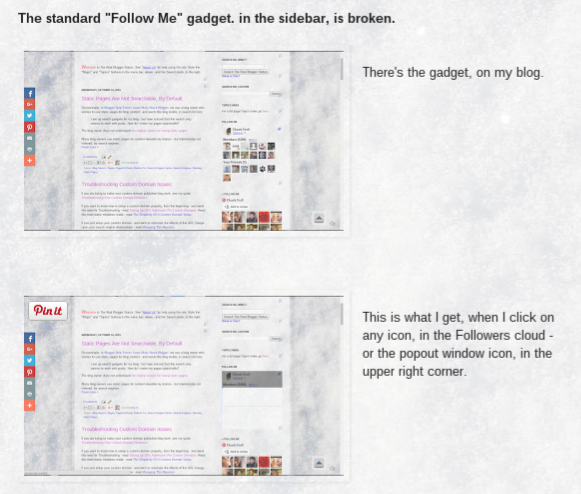 Adding a Pinterest "Pin It" icon, to the photos in the blog, is extremely simple. 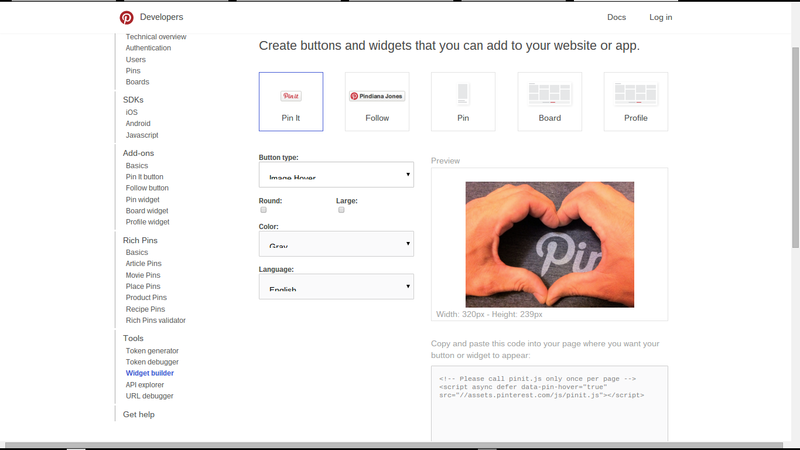 Just visit the Pinterest Widget builder page, select the right options, and copy the code provided. That's the gadget installed here. It has one option. "Button type". 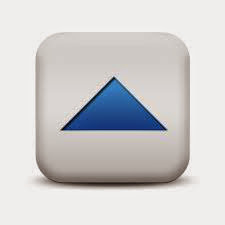 I selected "Image Hover". The Pinterest instructions make it harder than I found it to be. 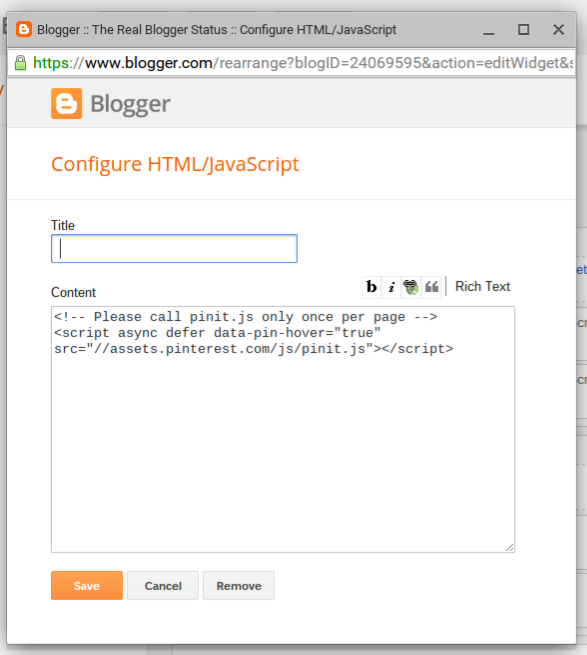 Paste the code just above the closing </body> tag of each page where you want the button to show up on your site. Who wants to spend time editing the template, to insert two lines of code? Fortunately, that's easily avoided. 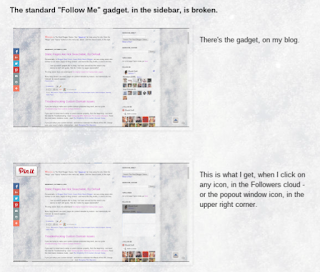 Save the gadget, Save the Layout page, load or reload the blog, pick any photo, mouse over the photo, and you're done. There's your new "Pin It" hover button. 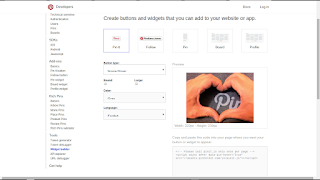 A visit to the Pinterest Widget builder page. And that's the "Pin It" icon. You have to mouse over the photo, and there it is. And that's it. Far more time consuming to write about it, than to do it. You next setup a Pinterest profile - and a board or two to post into. But that's another post, later. Who da man? You da man!!! Unless of course you are not a man... then you know.... You da woman!!!! Oh my gosh! How I have struggled with the instructions from countless others. How simple was that. Thanks a lot!